Troi plug-ins make it possible to do things you always thought were impossible to do with FileMaker Pro. 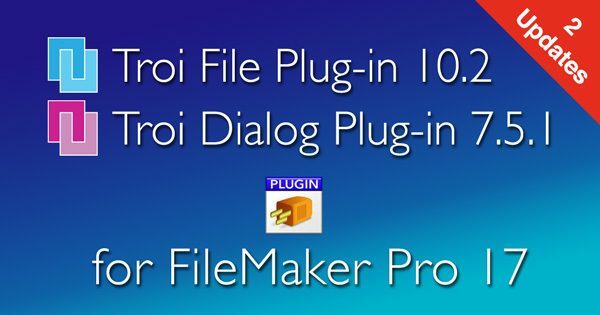 Troi plug-ins bring innovative power to FileMaker. Bring powerful solutions to your customers’ doorstep today. 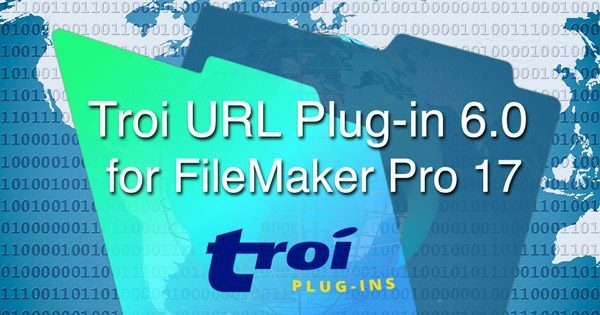 Troi has developed a range of innovative and high quality plug-ins for FileMaker Pro, which extend the functionality of FileMaker. Troi plugins are reliable, easy to install, and come with lifetime support. Available for Mac OS 10.8-10.14 and Windows 7-10. You can try our plug-ins for free. Just download and set them to work. Test them als long as you like. Then purchasing them is easy in our shop. 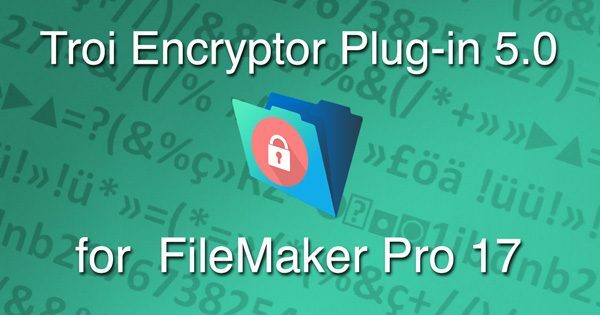 Get access to any file outside FileMaker. New for FileMaker 17. Connect all your serial devices with ease. New FileMaker 17 version, with direct insert function. Encrypt fields using powerful 256-bit AES encryption, so that your sensitive data is secure. Fill in web forms on internet, all from FileMaker Pro. New version for FileMaker 17 .